Sir Joshua Reynolds born on this day in 1723. 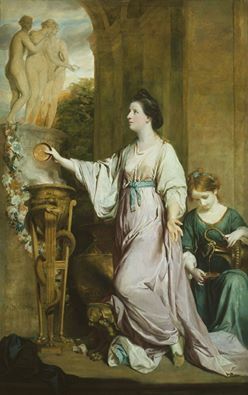 In this portrait Lady Sarah Bunbury (nee Lennox) is depicted sacrificing to the Three Graces. Lady Sarah lived her later life in Celbridge House (now Oakley Park) beside Emily at Carton House and Louisa at Castletown. 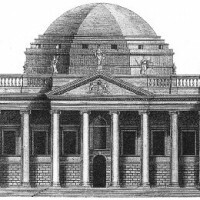 An engraving after this image is in the Print Room at Castletown.